Copyright © 2016 Moroni Groups. All Rights Reserved. The automated and/or systematic collection of information from this section is prohibited by the Copyright Laws. Are you willing to help us share the Gospel of Jesus Christ through Social Media? Well you can join our team. By sharing your skills with us and become part of our movement to share the Gospel of Jesus Christ through Technology. MoroniChannel.org is open for members of the Church to help share the Gospel through Social Media; you can share your skills in blogging, texting, mailing, posting and other forms of communication to share your voice to the world. If Moroni Channel is not available in your native language you can create Moroni Channel for your country ( e.g. Moroni Channel Philippines, Moroni Channel Latin America etc. ) you can create it for others to speak in their native language other than English. ​Facebook is one of the largest social networking sites on the Internet. It currently has more than 1 billion users around the world. Users create a profile page and then connect it with the profile pages of their friends and family. They can share status updates, event invites, photos, videos, notes, and links to other websites. ​A Facebook page is a public profile you can share the gospel by creating a Facebook Page and posting uplifting and authentic messages to others. Unlike personal profiles, pages do not gain “friends,” but “fans” – which are people who choose to “like” a page. Do Moroni Channel Support Facebook Page? Yes, we at Moroni Channel was first organized as a Facebook Page, we support members who creates Facebook Pages by providing them High Qualities Images for them to use in their quotes we also allow them to use all of our contents without violating anyone’s copyright. unless otherwise indicated. By allowing Moroni Channel to operate your Facebook Page you have agreed that Your Facebook Page will be handled by a Representative of Moroni Channel and is now operate by us, you and your Administrators. Note: The owner and his/her administrator will still be the one posting on their pages our protocol is just to assist and monitor your page growth. From your home page, go to the Groups section on the left side menu and click Create Group. Click + Create New Group at the top of the page. A window will appear, where you’ll be able to add a group name, add members and select the privacy settings for your group. Click Create when you’re done. Once the group is created, you’ll be taken to the group. To get started, click at the top right of the group and select Edit Group Settings. From here you can add a group description, tags, set a group email address and add a group picture. Admins are people who create and manage activity in groups and Pages. 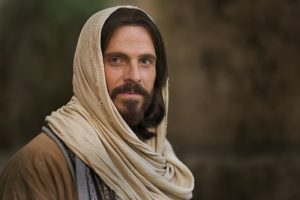 Note: The following Instructions are copied in Moroni Groups Administrators Guide Edition VI Of 2016 any reproduction of these instructions are prohibited by Copyright Laws. Read more about our Copyright Laws & Permissions. Posting at least once a week. Answering questions/responding to members (including conflict) in a positive and professional manner. Promoting positive feeling among members. Helping to keep posts “Church” related. Coordinating and communicating with other admins of the page as a team. Memorizing the group Vision, Mission and familiarize all the group policies. Communicating with our Head Admins/ International Based Admin about any issues that arise. Supporting or starting negative conversations. Changing the group rules, Arranging parties or gatherings and making a major change in any of the Moroni groups without any consent of The Family Council nor the International Based admins is prohibited. Be kind and respectful in the way you interact with the members of the church. Be professional in every aspect. Try to retain the uplifting environment of the group. Speaking foul words is prohibited in any of our Groups. If an individual is not showing good manners, politeness, posting inappropriate post (not related to His Gospel) or anything that is not pleasing do contact that person and give him/her a warning (be kind and respectful). If it continues, the person needs to be ban/block from the group. Communicate & Share all added and needed information/announcement to the other administrators that you handle. If there are concerns/questions/agenda/clarifications THAT ARISE discus these things in your local Group Chat and let your Head Administrators talk to us with your concerns. If you’re giving an announcement or a statement use the Plural form instead of Singular. Always remember that you are not the only administrator in your team. And in every Admins Team there must be at least 15 Administrators. Before organizing get together or gatherings (accompanied by an administrator) the event must first be approved by our Family Council/International Based Administrators. After being accepted by our Family Council and Head Administrators you will be receiving a full document of Moroni Groups Administrators Guide Edition VI Of 2016. The Volunteer Response Team is a group of volunteers who answer most e-mail sent to our email. Questions about the church to be answered by our writers. The Q&A Response Team are those volunteers that answers Questions by the members and non-members of the church. Questions are sent in your email you provided for us to contact you, Your answer should also be sent in our volunteers email address [email protected] We expect that the answers your answers are in a professional manner. Help our Article Writers finish their works by providing them High Quality Pictures of their choice. By becoming a photographer of MoroniChannel.org you agreed that all images that are submitted to our writers are owned by the organization. Note: You will be credited in your works. Communicating with our Writters what pictures they need for their upcoming articles. Able to digitally enhance images with software by, for example, changing emphasis, cropping pictures, correcting minor faults, or moving objects around. A writer is a person who has written an article, their names are displayed in our about section together with our administrators and Photographers. All of our Writers are given a chance to write a Portfolio of their works which we call Projects, When this occur a writer is a given a specific time to submit his/her article on or before 3 days – 1 week after receiving the project (depending on how long will it take). There are two options on how to submit your work. There are a lot of ways on how you can help us Share the Gospel, you can help us by creating InsPic (Inspirational Quote on a Picture), Animation (creating short film animation about the Gospel), Create another branch of Moroni Channel on Facebook ( e.g. Moroni Channel Europe, Moroni Channel Pacific etc.) and others. Tell it to us on How you would like to contribute to us and we will listen. Did we forget something? Please tell us how you are using the Internet to share the gospel.